Sign up for our weekly alerts emails - the easiest way to keep up to date! Number of deals is at a record: 268 digital health funding deals across 261 companies. In 2016, 240 digital health venture deals had closed by the end of Q3 in 2016. Few mega-deals this quarter: The only ones are 23andMe with a $250 million round in September followed by cancer data company Tempus’ $70M Series C round. Average deal size dropped to $14.6 million. The cooling is great enough for Rock Health to predict that there may not be any IPOs this year–23andMe was considered the leading candidate but instead went for another round. 16 percent of companies funded in Q3 are led by women CEOs, up from 11 percent. Of course, this is influenced by 23andMe’s founder/CEO Anne Wojcicki. But almost more importantly, there’s been a breakthrough in that women’s and reproductive health companies continue to gain funding traction, and most are led by women. The two top categories for funding through Q3 are consumer: health information and personal health and tracking tools. Yet companies are shifting to a B2B business model from B2C, with 23andMe in the lead targeting drug discovery via the Genentech deal they have had for a long time. 61 percent of digital health startups that Rock Health tracks converted from B2C to B2B. No surprise to this Editor as consumer adoption is a slow and costly road. Exits are also cooling down as long-cycle reality hits. The ‘nine-inning ball game’ stated by an investor is, given healthcare’s long cycles, regulation, and slow adoption, is more like 15. Awaiting StartUp Health‘s always numerically bigger report, but this Editor’s bet is that it won’t be ‘crazy’ like Q2 [TTA 15 July]. Rock Health Q3 report. Billionaire Patrick Soon-Shiong‘s drive to take down cancer through vaccines, genomics, software, and related health tech is one of the key missions of his NantHealth group and also the Foundation. Both fund research efforts such as Cancer Breakthroughs 2020, which is supported by former Vice President Joseph Biden. Reportedly, the well-wired Dr Soon-Shiong wooed President Trump for a role in his new Administration, one that has not materialized. 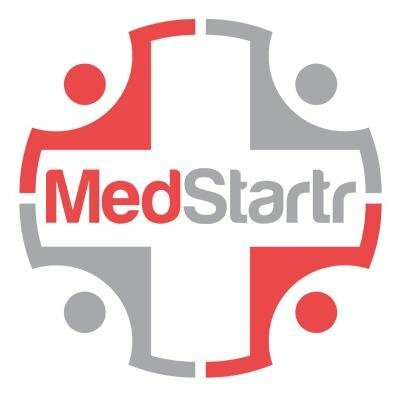 In February, we noted his appearance at HIMSS17 promoting his cancer vaccine which was approved by FDA to advance to later clinical trials, and also unveiled Nant AI and the Nant Cloud–but also an article published in Stat that gazed through the NantHealth veil and found little to compliment, including the trademark infringement suit brought by the MD Anderson Cancer Center in Texas. Of the nearly $59.6 million in foundation expenditures between its founding in 2010 and 2015, the most recent year for which records are available, over 70 percent have gone to Soon-Shiong-affiliated not-for-profits and for-profits, along with entities that do business with his for-profit firms. The foundation contributed $3 million out of a total of $12 million donated by Soon-Shiong-controlled entities to a University of Utah program to map the genomes of 1,000 state residents. University officials say they let Soon-Shiong’s entities write the grant specifications. The specifications gave a major advantage to his for-profit firms, which got the $10 million gene-mapping contract. Soon-Shiong-controlled charities gave a total of $15 million — including $10 million from the NantHealth Foundation — to a fund that benefited Phoenix Children’s Hospital, which concluded a pair of deals with Soon-Shiong’s for-profit companies for many millions of dollars. It’s dizzying, certainly by design. If true, it appears that Dr Soon-Shiong’s favorite charities happen to be his own businesses, which raise all sorts of ethical and legal questions. The investigation also calls into question not only these dealings but also the Foundation’s tax-exempt and additional special status as a medical research organization. Will the IRS come calling? How Washington’s favorite cancer fighter helps himself Also Healthcare IT News, which delightfully called them ‘funding indiscretions’. Updated. A canary in the coal mine is the NantHealth (NASDAQ: NH) share price, which has crashed from a 52-week high of $21 to a current value of $4.32. To clarify, it has been in precipitous decline since January, and not just from this report. There is trouble in Culver City. A quick look over at Yahoo!Finance news items now reveal a brace of law firms offering class action lawsuits to shareholders who believe they have suffered losses due to “materially false and misleading statements”, now updated for the above information. Pre-meetings and courses on Saturday and Sunday (2-3 May) with intensive three-hour and half-day courses on legal issues, operationalizing telemedicine and fitting technology into primary and urgent care. Keynote speakers including Dr. Patrick Soon-Shiong of NantHealth on Monday (note live streaming of three of the plenary speakers including this). Educational tracks including Executive Sessions, Innovation Spotlight and an all-day telemedicine investor and strategic Venture Summit on Monday, which takes on financing and development issues of concern for later-stage emerging companies (PDF link). Exhibit Hall opens Sunday evening and closes on Tuesday. For more information and to register, see our special link here. 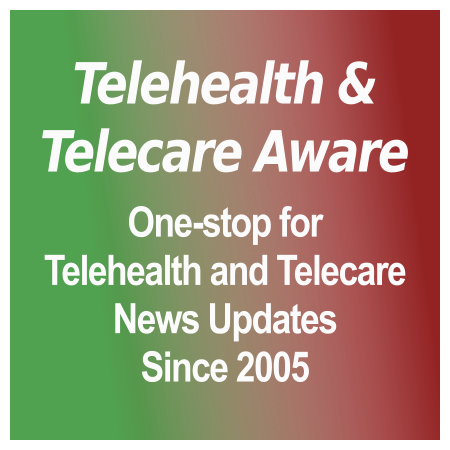 Telehealth & Telecare Aware is pleased to be again an official media partner of this year’s ATA. This week’s news of BlackBerry Ltd’s minority investment in the Dr. Patrick Soon-Shiong eight-company combine called NantHealth has generally focused on BlackBerry. Across the board, BlackBerry is depicted as the party badly needing a raison d’être. Down for the count in both retail and enterprise mobile phone markets it dominated for years, BB’s six-months-in-the-saddle CEO is now going back to those same enterprises singing the wonders of their QNX operating system and upcoming BBM Protected communication platform to highly regulated verticals which need max security: healthcare, finance, law enforcement, government. Although FierceCMO inaccurately reported that BlackBerry was acquiring NantHealth (Reuters/WSJ reports to contrary), it’s generated yawns from former tea-leaf readers such as ZDNet as yet another flail of the Berry as it sinks beneath the waves. Add to this the bewilderingly written CNBC ‘Commentary’ under BlackBerry CEO John Chen’s byline–who should fire the ghostwriter for inept generation of blue smoke and mirrors–and you wonder why the very smart Dr. Soon-Shiong even desires the association with a company most consider the equivalent of silent movies. It is certainly not for the investment money, which the doctor has more than most countries–an expenditure carefully considered at BlackBerry, undoubtedly. Voice-enabled devices–pointer to the future? LA billionaire and healthcare investor par excellence Patrick Soon-Shiong (his NantHealth raised $31 million earlier this year and owns Vitality, eviti, iSirona, iCOS) has just made a sizable $8 million investment in Fluential, which is developing a voice interface and speech-optimized recognition software for digital health, wellness, and weight management, to run on anything mobile including wearables, and to be released in the spring of 2014. If this works (and better than Siri), it has major implications across the board in the future shape of both consumer and clinical health tech, especially for older adults and those with mobility concerns. Mobihealthnews. Donna Cusano on A telemedicine ‘robot’ delivers end of life news to patient: is there an ethical problem here, Kaiser Permanente? Michael Servetus on A telemedicine ‘robot’ delivers end of life news to patient: is there an ethical problem here, Kaiser Permanente? • Telecare: from simple personal alarms (AKA pendant/panic/medical/social alarms, PERS, and so on) through to smart homes that focus on alerts for risk including, for example: falls; smoke; changes in daily activity patterns and 'wandering'. Telecare may also be used to confirm that someone is safe and to prompt them to take medication. The alert generates an appropriate response to the situation allowing someone to live more independently and confidently in their own home for longer. • Telehealth: as in remote vital signs monitoring. Vital signs of patients with long term conditions are measured daily by devices at home and the data sent to a monitoring centre for response by a nurse or doctor if they fall outside predetermined norms. Telehealth has been shown to replace routine trips for check-ups; to speed interventions when health deteriorates, and to reduce stress by educating patients about their condition. Telecare Aware's editors concentrate on what we perceive to be significant events and technological and other developments in telecare and telehealth. We make no apology for being independent and opinionated or for trying to be interesting rather than comprehensive. Win the Trillium II prize and get €1,000!